Kasey Johnson has a passion for women and the responsibilities they carry as nurturers, partners, and mothers. As a leader in her local church and community, she has met women from various backgrounds that all share a common desire: to maximize their time and minimize their stress. Kasey’s passion for educating, teaching, and equipping people for success has motivated her to create and share a variety of strategies to equip Christian women to reach their growth potential. From state to state, be it women’s retreat, MOPS programs, or women’s Bible study groups her practical approach, humorous stories, and Biblical emphasis has been appreciated by women of all ages. Whether she is teaching in a classroom or learning lessons from her own husband and children, Kasey is a life-long learner and enjoys sharing the insights God has impressed on her. No matter the topic, Kasey creates an interactive, poignant presentation that will reach your group on an intellectual, emotional and spiritual level. 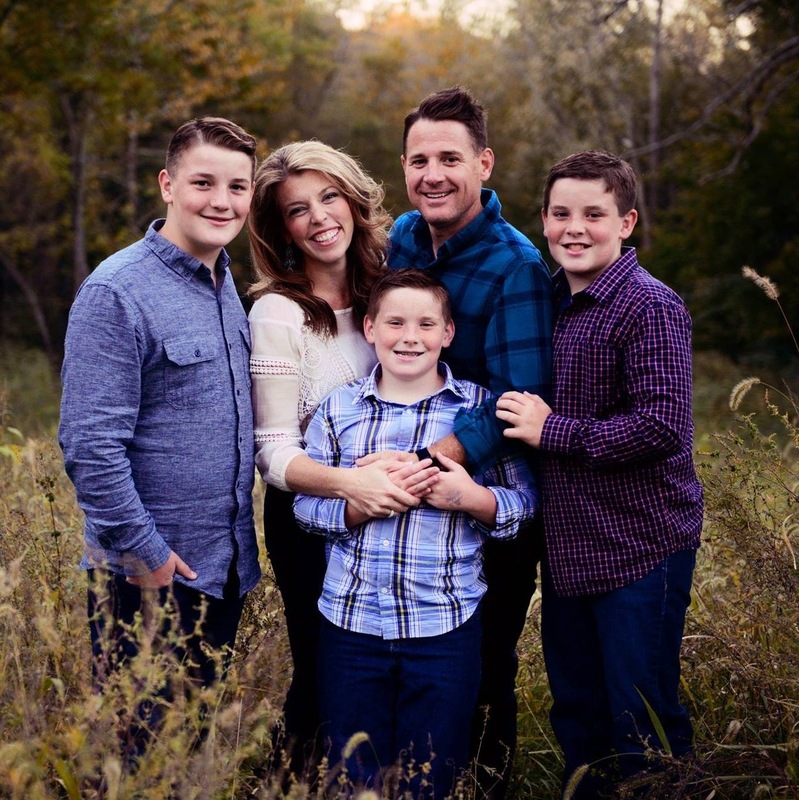 Kasey and her husband Matt live in Kansas City with their three sons: Matthew (16), Tyler (14) and James (12) and their two dogs – Everett and Charlie. Kasey’s first book, “7 Ways To Be A S.M.A.R.T.E.R. Mom”, has helped women across the country discover a fresh approach and joy concerning their responsibilities as a Mom. Her latest project, “Mom Essentials”, is an incredible resource for mothers of all ages. Group leaders will love the format of Mom Essentials. Kasey hopes all sizes of mother’s groups will enjoy this Bible Study and Parenting Book wrapped into one. Through Mom Essentials women grow individually and as a group as they discover God’s plan for their life and how to focus on what really matters and is most important while living in this hectic world. I just wanted to let you know I attended your session at the MOPS convention and I was so impressed. I think I have told everyone I know about your book. Thank you for such pracatical and Godly parenting advice. Tara – thank you for your sweet comment and for taking time to visit our site. I hope you have fun looking through the posts and find even more information and inspiration – have a great day! Kasey, thank you so much for speaking at our MOPS group! I think many of our moms needed your talk on getting organized. I think we all want to be organized moms, but sometimes don’t know where to start. I heard you speak at BBM Rez West last night and you are amazing. I started reading your book last night. But the balance of Martha and Mary truly hit home for me! I am so working on not always being a Martha. Thanks for your inspiration. Mothers pay attention to this young lady!!!!! She is wise way beyond her years. If you have children and are many miles away from your parents, Kasey can show you how to close that gap. At first I was depressed just thinking that I wouldn’t see them much or get to see them grow up, but Kasey is awesome at keeping us in the loop. There is no readjustment when we see them, it’s like they were just with them. I have many examples of ways she has kept us close. She makes sure they will never, ever forget us and I love her for that!!! !